Of course, if it were up to Trump, the USA would be oblivious to the Middle East refugee crisis because "we've got enough of our own [immigrant] problems." Hungary is much in the news for its fence with Serbia. But at least Hungarian citizens have stepped up an provided water and baby food to some of the refugees. This crisis, let me remind you, is not sui generis; it is part of a complicated scenario which begins with the West waging war on the region, along with the revolutionary impact of western technology on communications in the region. In short, the West, not just Muslim extremists, has changed the region. It's time that we cut off ties, including economic ties, with nations, full of money, but unable to assume international responsibilities. I say boycott Saudi Arabia, Qatar, Kuwait, UAE, to the same extent as Iran. They are no less dangerous to the future of this world than Iran. Their concern would be that if they started recognizing political asylum it could potentially open the doors for a multitude of their temporary workers to stay permanently and that would raise a lot of quite complex issues." How have we come to ally ourselves with countries that rely on non-nationals for the bulk of their workforce and grant them very little, if any rights? With countries known for their sexual exploitation of non-national women? It's obscene, pure and simple. piston wrote: it is part of a complicated scenario which begins with the West waging war on the region, along with the revolutionary impact of western technology on communications in the region. Also what is this conductor actually saying? The Germans have been remarkably responsible, a model for other European countries and for North American ones too! Finland's national leader, who is apparently quite wealthy, has also offered to open his vast estate to Syrian refugees. I may have been unfair to Saudi Arabia if what was expressed by a Saudi today on BBC is accurate. 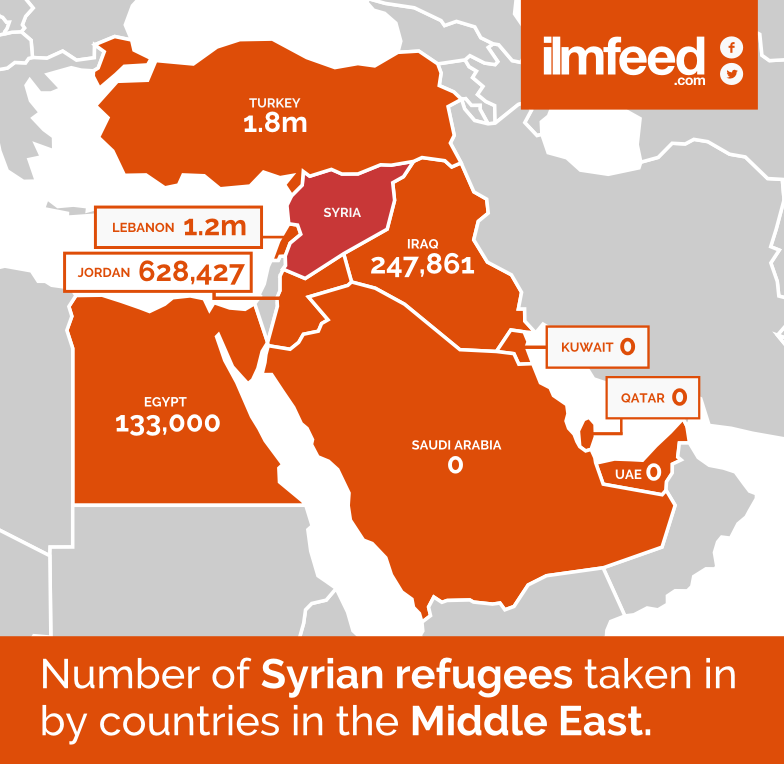 The kingdom does not have any "refugee" statute. All who are accepted in their country are known as "visitors," including those we would call refugees. According to this speaker, some 500,000 Syrians now hold this status of visitors in that country. "Oh God, we failed to help a child in need, we refused him at our shores," was the opening prayer at the memorial. "So you gave him a better place. Forgive us for our shortcomings help us be the change we so desperately want to see." And, of course, if Canada were to shelter hundreds of thousand of Syrians, Walker's proposal to build a wall between the two countries would gain much support. The USA started this whole Mideastern mess with its highly destabilizing crusade against Sadam Hussein. Or, better yet, it started extremist reactions in the Middle East with its support of the Shah of Iran. And now, political idiots, like Trump, believe that this country is not responsible for the enormous human disruptions in the region. Don't listen to political analysts, says Rwetmore. Ignorance is bliss. Listen to the pope! He anticipated this development.